So how many shots did you lose with the latest ‘raft’ of handicap improvements to the Australian system? I’ve lost two and everyone I have spoken to, bar one man, has lost either one or two shots off their handicap with the changes that have been brought in by Golf Australia to “improve” our derivation of the US system. One thing that hasn’t changed is the amount of whinging that continues to plague just about every golf club in Australia about our handicapping. Although not necessarily all in that order. But when all is said and done, is taking the best eight scores instead of the best 10 to work out the handicaps and then cutting everyone by one or two shots really going to make much difference to who wins at your home club? Those who keep a close eye on their handicap will still know exactly when one of their better rounds is about to “drop off”. And let’s face it, there will always be some players trying to rort the system – and usually succeeding. That won’t change, no matter what system of handicapping we have in place, the ‘cheats’, for want of a better word, will still prosper. Speaking of handicap ‘rorts’ I’m keen to learn what the best stableford score you’ve witnessed at your club since the new system came into being. Feel free to e-mail me and let me know. We had someone score 49 points in a singles event the other day – and, boy, did that cause some rumblings around the club. The fact the poor guy was playing off a handicap of 31 didn’t seem to cut much ice with the critics at our club. 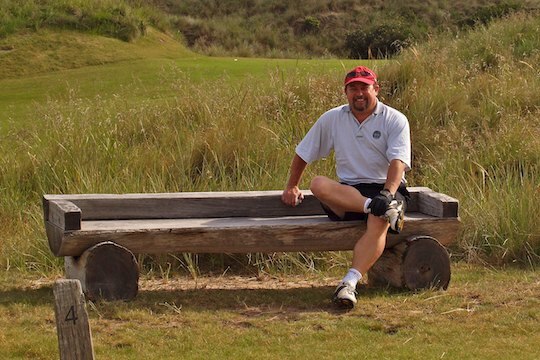 And I guess I can see their point – he did break his handicap by 13 – and that alone was enough to send some of our members off to check his recent rounds to see where this score had suddenly sprung from. Certainly 49 points in singles is pretty hard to beat. I once watched a single-figure marker friend shoot the round of his life around the Rosnay course at Auburn, in Sydney. I think he was seven-under-par for the round – and this will rock your socks – he was beaten by a 20 marker who came in with 49 points and actually beat him by two or three. I just knew we’d still be talking about that round 20 years later. Incidentally someone did try to tell me that the single-figure markers were the ones suffering under the new system. He thought they didn’t get enough chances to win their weekly stableford competition. But they do have a cash prize for the best scratch score, right? And unless his club is different to most in the world – there are normally only half a dozen players [at the most] that can win the best scratch score each week. Speaking as someone who has never won a singles scratch score in his life, I can’t say I’m shedding too many tears for him. At the end of the year I’d like to wager my winnings against his. I know who has banked the most. So don’t worry about the single figure markers – they get their share. Worldwide handicapping system coming soon?